Spring is here and that means longer days and more squinting in the sun. All that squinting causes more wrinkles under the eyes. The treatment that works best for smoothing out wrinkles around the eyes are neuromodulators such as Botox®. Dysport® is a lesser known Botox® that works the same but is a little less expensive. Since the treatments have to be repeated two to four times a year it makes sense to go with the least expensive. The treatment for getting rid of wrinkles around the eyes is quick and easy. We use tiny needles to inject the skin around the eyes. The injections may smart a little bit but most patients do not find it to be that painful. The small amount of pain is worth the great results that you get with this treatment. After treatment, there is no special aftercare and no downtime. You can go back to the office or home and resume your normal activities. In fact, you can reapply your makeup right after treatment and resume your skin care routine. Immediately after treatment, you may notice some redness and tiny marks where the injections were placed but those usually go away within an hour. Occasionally, a bruise may form but I have found with very careful placement this can usually be avoided. Concealer may be used to cover bruising. However, it is wise to schedule your treatment during a time that if you do bruise it won’t be the end of the world. In other words, don’t schedule the week before your daughter’s wedding, schedule about four to six weeks before the big occasion. Not only to avoid having to cover up a bruise but also to maximize your results for the occasion. About one week after your treatment you will notice the wrinkles around your eyes diminish significantly. The maximum effect is usually at two weeks. The improvement will last three months at a minimum and often longer depending on the severity of the wrinkles to begin with. Patients who have treatment every three or four months for the first year or two may find that they need fewer treatments as time goes on. Twice a year is often good enough to maintain improvement. Unfortunately, there is no eye cream that works as well as the neuromodulators. Protect your eyes from the sun with sunscreen, sun glasses and hats. 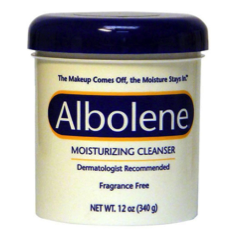 Use a gentle eye makeup remover, an excellent one that is also very inexpensive is Albolene, which is found in any drugstore. For the quickest improvement for wrinkles around the eyes nothing beats the neuromodulators.